I have instituted many changes this last year to try and speed up my debt payoff. There are three very important things I can tell anyone trying to get out of debt. First, it will take time. Second, it will take some hard work. Third, you will have to make changes in your life. There are so many stories and Pinterest posts about getting out of debt. They are short, sweet and brightly colored. You can spend all day reading them and in the end still not have paid off any debt. They may inspire you, they are also fun to read, but unless implemented they are just short, sweet and brightly colored advertisements. Paying off credit card debt, car payments, medical bills, and making a house payment involve time. Cars are financed for 4-6 years now some are 7 years Ugh! Houses can take 20-30 years now to pay off. This is a long time, a long, long time. 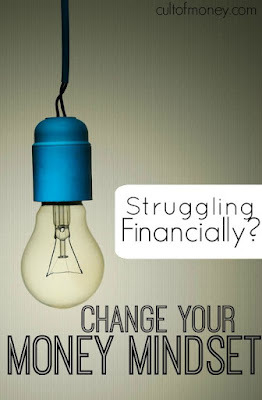 Thinking you are going to only be struggling with debt for a few short months is a pipe dream, you will need to be in this for the long haul. If you really want to get out of debt you will have to work hard. You will have to work more. You will have to find ways to stretch your dollar and they will require ingenuity and sacrifice. This might require you to give up things that make your life easier or more pleasant. You might love your cleaning service, but that $88.00 a week adds up. Cleaning the house yourself is a drag and it means you will have to free up at least 4 hours of your weekly schedule. It will also allow you to save $344.00 a month, to put toward debt. It is much easier to stop and get take out or eat at a restaurant than to go home and cook a meal. 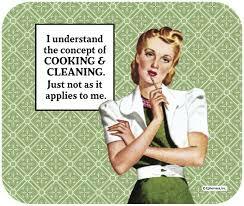 You will need to spend time and effort cooking and cleaning up after you cooked. Throwing away a few containers or bags from take out is so much easier. Better yet leaving the restaurant you have nothing to throw away. If you decide to eat at home, running to the store after work to pick up things to make dinner will save you some money, but now you have the time at the store, the time cooking, the time cleaning up. The best alternative for saving money eating out, would be to plan a menu, have a good pantry, and cook ahead. All of those things will take your time, and guess what? You still get to clean up! If you truly want to get out of debt you will work harder, plain and simple. There is no magic, just effort. government, your employer, your health, your mother, your husband(my favorite) but in reality the problem is probably you. Change is hard, habits are hard to break and reality is no fun. 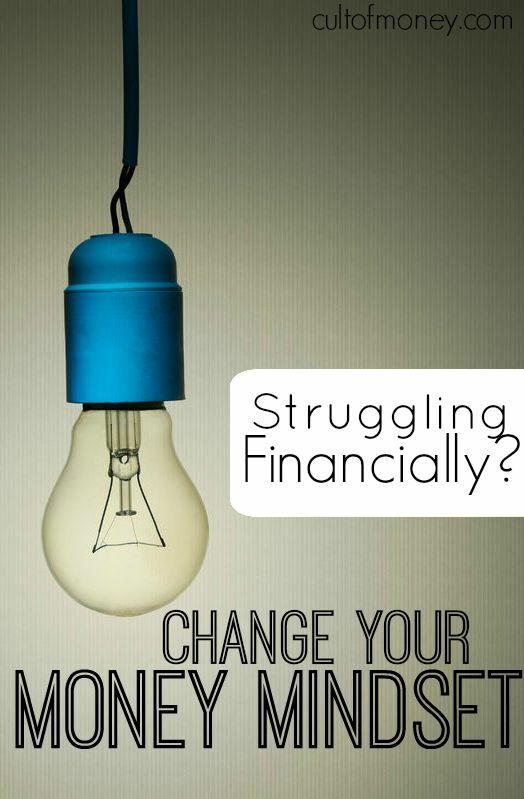 If you want to get out of debt you have to change. Changes I have made in the past years to help me get out of debt. 1. patience, it will take years, how long was that car loan again? 4. Stop using money and shopping as entertainment. 8. take satisfaction in seeing how little you can spend to make a great meal. 9. Get joy out of finding ways to save. Second hand book stores, and libraries are great resources to help you save money. Learn to enjoy perusing them. 10. Quit wasting time. Do something. If you get the itch to go spend, get busy doing something else. Make cookies, go for a walk, clean something, develop a cheap hobby that will also become a gift for someone. Make yourself useful. Plan a strategy for saving more money. 11. Little amounts of money add up. So find ways to not waste money. b. plastics, paper, and cleaning items do add up. Learn to reduce and reuse. c. Use what you have, shop your closet, your pantry, your craft cupboard. I bet you have things in there that you can use today to keep from spending money tomorrow. e. Coupon only on the things you will use and need. f. Have a little extra to stock up on a good deal, but only if you really need it. g. Use less than the recommended amount (except with hemorrhoid meds buy the good stuff and use as directed:)) nuff said. h.Find ways to help others, when you bless others the world and your Heavenly Father open up the heavens to bless you. 12. Stop blaming others, you did this to yourself. Yes, there were circumstances beyond your control but you made it worse, admit it and move on. 13. Find new ways to earn money if possible. 14. Don't be afraid to ask for help if you need it. The best day of my life was when I paid off my car and house in the same month. However, I was not a spendthrift, EVER, and struggled for years. I still have that car, a 2000. I spent more money on sewing supplies and sewing machines than most people do, but though it was fun to sew, it supported me for a few years. A woman I work with confirmed my suspicions. She said she went to the mall with friends who used the mall for entertainment and spent. When she decided not to go to the mall with them, all of a sudden she was out of debt and those friends turned out not to be friends, just mall buddies. I would add to your list--choose friends wisely. 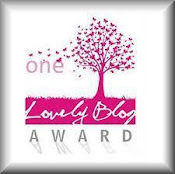 Lots of wise advice in your post! I think what helped us keep our debts low was to choose wisely on the big ticket items: Our home is the smallest in our area and we opted to underspend on the amount our realtor said we could afford. We planned on a worst-case scenario of only one of us being employed (instead of two incomes) and used that to determine what we could afford. Also, we buy pre-owned cars and use them until they are absolutely done and save our money to buy in cash rather than take out loans. We've saved tens of thousands of dollars on just that alone. It was a struggle getting out of the mind-set of automatically taking out a loan to buy a car, but once we got off of that treadmill we never did it again. Same for credit cards, I used to charge everything until I got fed up with debt. After paying them off and closing those accounts for good, my husband and I now only have one credit card and it's enough. We do not even think about keeping up with the Joneses. Almost all our neighbors have new cars every 4 years, constantly updating their houses, and so on. But I also know most of them are still paying on their homes, luxury cars, and other expenses while complaining they can't afford to pay for their child's college education (I'm thinking of one of my neighbors in particular). By changing one big-ticket item, like opting for non-luxury or pre-owned cars instead, would save you tens of thousands of dollars over the years, probably more. Just with that you could afford, or at least take care of a large amount of your child's student loan debt. I wish I could have been as wise as you. But in my defense all three girls have college degrees and two of them advanced degrees and yes we helped a lot. This actually has kept us in debt longer but so worth it to me. Three university-educated daughters that you helped...well, there is your retirement plan. The biggest mindset I changed was shopping as entertainment. The year I got serious about only going in a store if I needed something was the year we started getting ahead with money. That and the year I joined the Compact group and didn't buy anything new for a year(w/one exception). Oh yes, yes there is...... You are so right. I went to a thrift store that I knew had a ton of embroider thread as I was down on greens. But that is all I bought. Great advise! Love the humor sprinked in. :) You know we are in the mist of this. Changing ones mineset is such an important thing. I'm still working on that! It has taken me years, and I am still working hard on it. Thank you! See how smart we are getting? Fantastic post. I agree totally... I went through the same thing. I did not realize that even the pennies would help out and decrease debt.. It is a very difficult task. Sending encouragement and prayers to you. Looking forward to reading , from you.." Completely Debt Free"...[and it will happen, just keep on , keeping on. SMile. Thanks Judy, you inspire me. "You might love your cleaning service, but that $88.00 a week adds up. 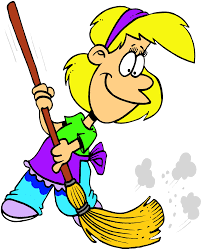 Cleaning the house yourself is a drag and it means you will have to free up at least 4 hours of your weekly schedule. It will also allow you to save $344.00 a month, to put toward debt." Unless you can, during those four hours, work/produce something that makes you more than $88. Then it would be a double win. This is very true and then you will ave a dirty house and money. #11.G.... yes! lol Sometimes more is more! These are great tips and I can say I do most of them and we have paid down more on debt since I stopped working!! imagine that! That is often the case. It really is true of young parents who have to pay day care. It would be very hard to live with a person that spent constantly. Excellent advice! I especially like 11 h. Made me think of Malachi 3:10, “Bring the full tithe into the storehouse, that there may be food in my house. And thereby put me to the test, says the LORD of hosts, if I will not open the windows of heaven for you and pour down for you a blessing until there is no more need.” While I follow this command out of obedience to God, I have found it to be so very true! I have lived the law of tithing for 40 years and I am proof that it works, just not against stupidity and boy can I be stupid. I will hang my head in shame and admit that shopping, even at thrift stores, is my "go to" entertainment and way to reduce stress and anxiety. There are many times that I don't find anything at all to buy, but just the act of mindless looking for hidden treasures really calms me. I do the same thing, but now I am more careful and refuse to buy anything I do not need.